MELVILLE, N.Y., September 15, 2016 – Canon U.S.A., Inc., a leader in digital imaging solutions, today announced the latest additions to its EOS M series system - the new Canon EOS M5 Interchangeable Lens Digital Camera and compact EF-M 18-150mm f/3.5-6.3 IS STM lens. The EOS M5 camera features a 24.2 Megapixel APS-C sized CMOS sensor, DIGIC 7 Image Processor and the fastest AF speed in the EOS M-series (i), enabling photographers to capture clear, sharp, high-resolution images and Full HD videos. 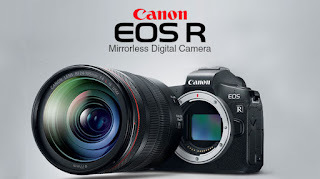 It is also the first in the EOS camera line to include the low energy Bluetooth® Smart (ii) feature that can maintain a constant connection (iii) with your compatible smartphone or tablet when you use the Canon camera connect application and both applications are active. The versatile EF-M 18-150mm f/3.5-6.3 IS STM lens is compatible with all Canon EOS M series digital cameras, and is a great option for photographers looking to capture scenic landscapes while traveling to close-up shots from afar. Built-in Wi-Fi® (v) and NFC (vi) allows for easy sharing and transferring of images and videos. Equipped with Bluetooth® (iii) Smart for smooth pairing with a compatible smartphone by powering on both devices for easy photo sharing and remote control possibilities. Shorter camera startup time (vii) and interval time between each image capture for a more efficient shooting experience. Compatible with EF-M lenses as well as the full line of EF(viii) and EF-S (viii) lenses and Speedlites for expanded creativity. The Canon EOS M5 also features Combination IS with in-camera 5-axis image stabilization, while capturing video, a first in the Canon EOS series. With a compatible lens attached (iv), Combination IS leverages optical IS and in-camera digital IS to help create tremendously smooth videos. The DIGIC 7 Image Processor makes the 5-axis IS possible even with lenses that do not contain IS, because the in-camera image stabilization functions independently to help reduce camera shake when shooting videos. In addition, the new Canon EF-M 18-150mm f/3.5-6.3 IS STM lens, available in graphite and silver colors, is scheduled to be available in December 2016 for an estimated retail price of $499.99 (x). iii When applications are active. Switch from Bluetooth® Smart to Wi-Fi® when viewing the images on the camera via the compatible smartphone.